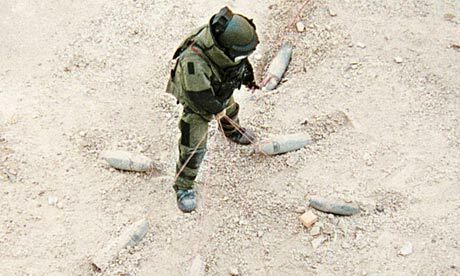 The Hurt Locker is a film I feel I need to go back and revisit. It had been so built up by the time I saw it in 2008 that I don’t know that anything could have matched the hype. Enough time has passed now that I think it’s worth going back and checking it out again. The first time through, though, there was one scene that had me; HAD ME. For lack of a better term, I’m calling it “The Secondary Devices” scene, because that’s the moment, when he pulls up all the other bombs, that the tension in the scene shot past 11 somewhere on its way to googleplex. Expertly acted by Jeremy Renner and directed by Kathryn Bigelow (who, in just two films, has made herself a director that commands your attention) this scene was the best from the Academy Awards’ Best Picture that year. Previous PostMovie Review: Pompeii (2014)Next PostStar Wars Episode VII – More Photos: Pinewood Studios, X-Wing, Milennium Falcon!